We’ve always been big fans of Harley Davidson but we were embarrassed by the fact that we were in Kansas City, MO on business and had to find out from a tourist at our hotel that there is a Harley-Davidson Vehicle and Powertrain Operations right in Kansas City, Mo – and they give tours to the public!!! We’ve been coming out here on business for 3 years now and somehow never figured it out on our own – goes to show you don’t know what is your own backyard sometimes. With that said – let us give you some of the rundown. 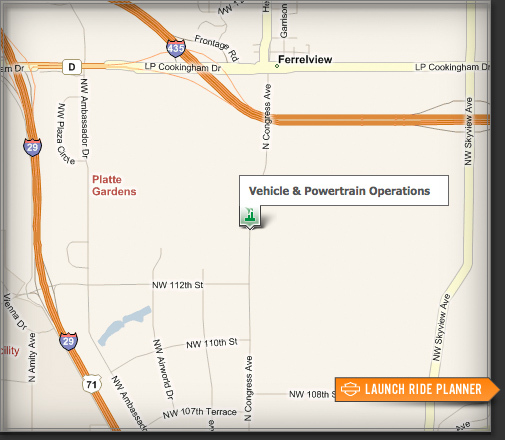 The 358,000-square-foot Harley–Davidson Vehicle and Powertrain Operations in Kansas City, Mo. 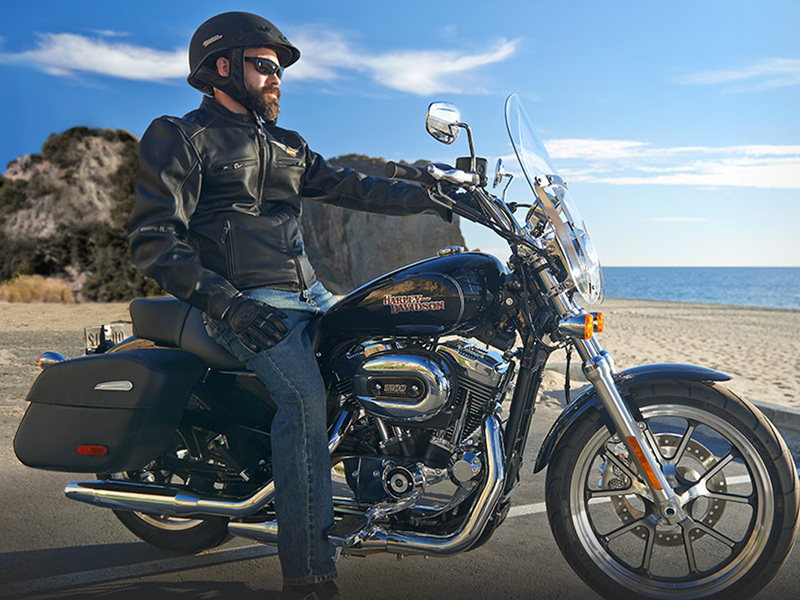 was built in 1998 and the employees produce the Sportster®, Dyna®, StreetTM and V-Rod® families of motorcycles, along with select Softail® models, from fabrication and finishing through final assembly to include the liquid-cooled Revolution® and Revolution XTM powertrains for the V-Rod and Street families. The tour center features a series of displays that guide you through the various manufacturing and assembly processes. You’ll also have the chance to sit on current production motorcycles and visit the gift shop, which features tour-related souvenirs. Your tour experience begins with an introductory video. Then it’s on to the factory floor where you’ll witness a wide range of operations from welding, laser-cutting and frame-bending, to polishing and assembly. You’ll see fenders and fuel tanks being formed, newly painted frames hanging on the line, and sophisticated robotic welding technology. 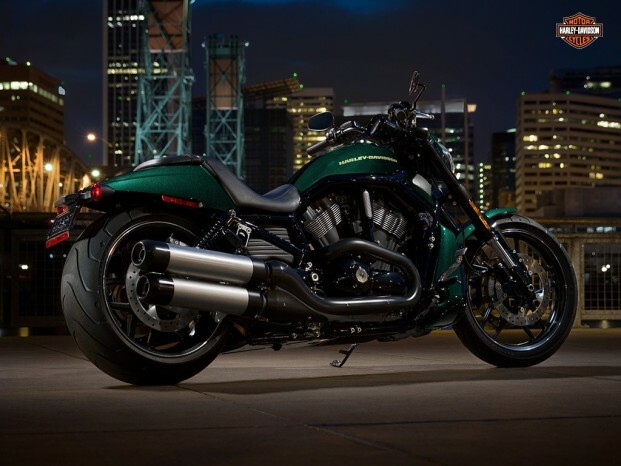 You’ll also see the Revolution® powertrain assembled from crankcase to cylinder heads. The free factory tour offers a limited view of the assembly line and designated fabrication areas. Tours last approximately one hour. • Free tours begin at regular intervals between the hours of 9:00 am – 1:30 pm Monday – Friday. Tickets are distributed on a first come, first served basis for each day’s available tours. It is recommended that you arrive early in the day. • Tours are not offered on weekends, major holidays, or during production changes and year-end maintenance. Tour schedule and route are subject to change. Production is not always scheduled on Fridays. • Reservations for 10 or more are required. 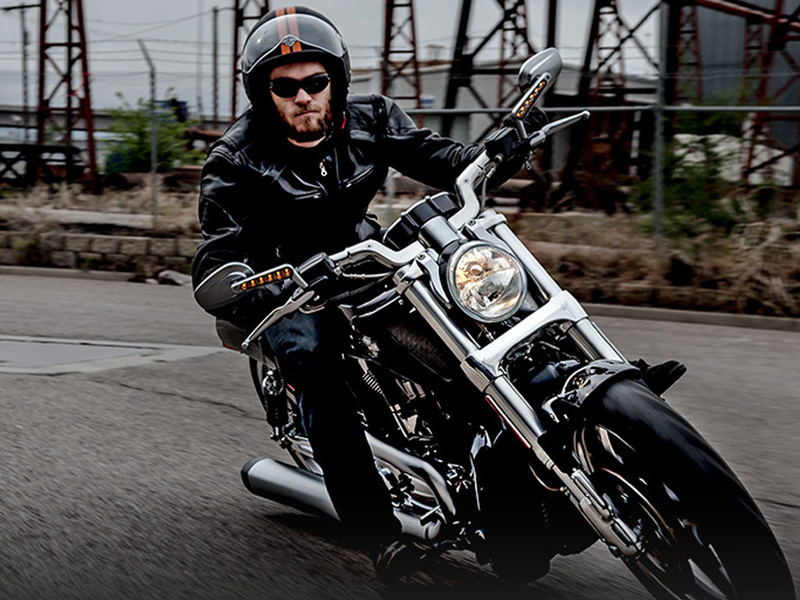 The Steel Toe Tour gives you a chance to experience Harley-Davidson history and get up-close and personal with the Sportster,® Dyna,® and V-Rod® model families. 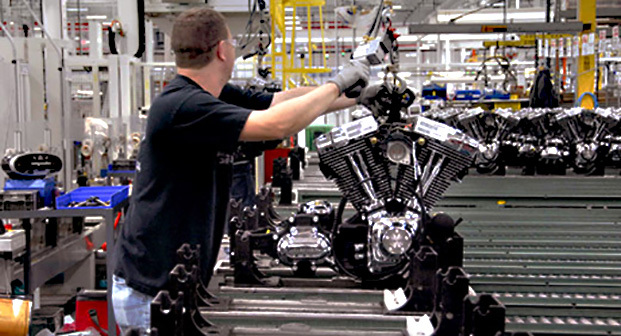 This is the only Harley-Davidson factory tour where you will see a Harley-Davidson powertrain and vehicle assembled and brought to life. The tour route has been expanded for smaller groups to provide a more personalized tour experience. 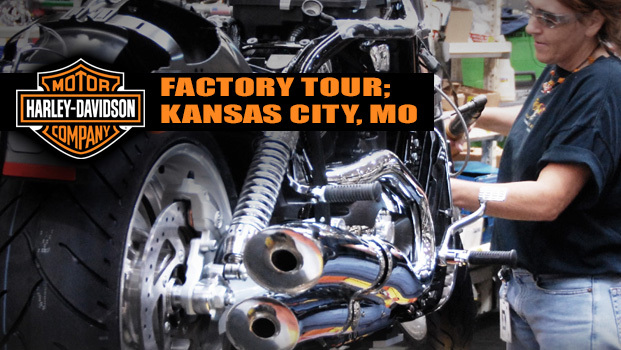 The Steel Toe Tour takes you through the manufacturing of fuel tanks, frames, and fenders, as well as many ‘employee only’ areas in paint and polish. The Steel Toe Tour goes behind-the-scenes through areas previously unseen by the public. You will be required to wear a safety vest, safety glasses, and steel toe protection, all of which are provided.